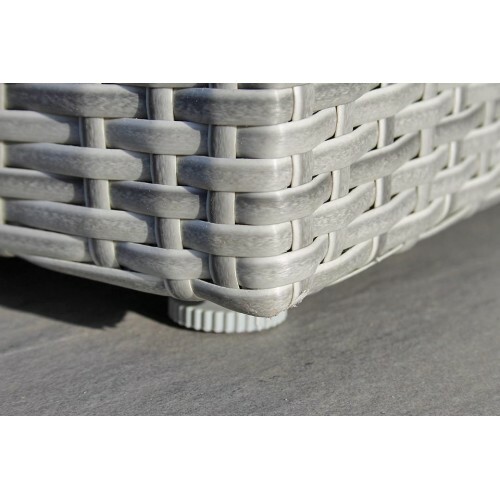 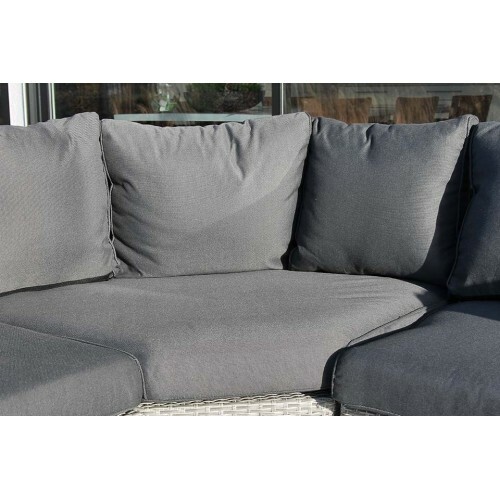 The spacious lounge has Alicante XL grey wicker and anthracite grey pillows. 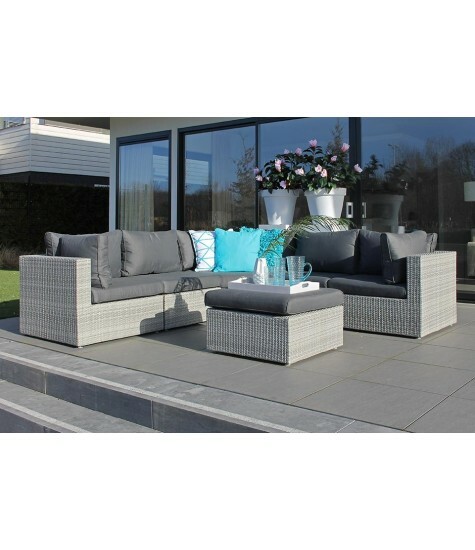 This beautiful lounge has an extra wide angle element and build at will and expand the different elements. 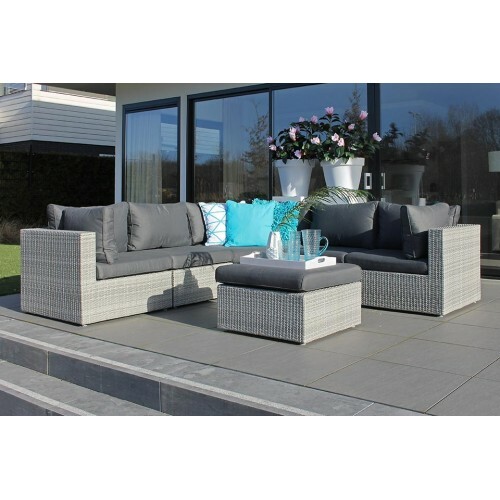 Enjoy your garden in this comfortable lounge with solid waterproof cushions.